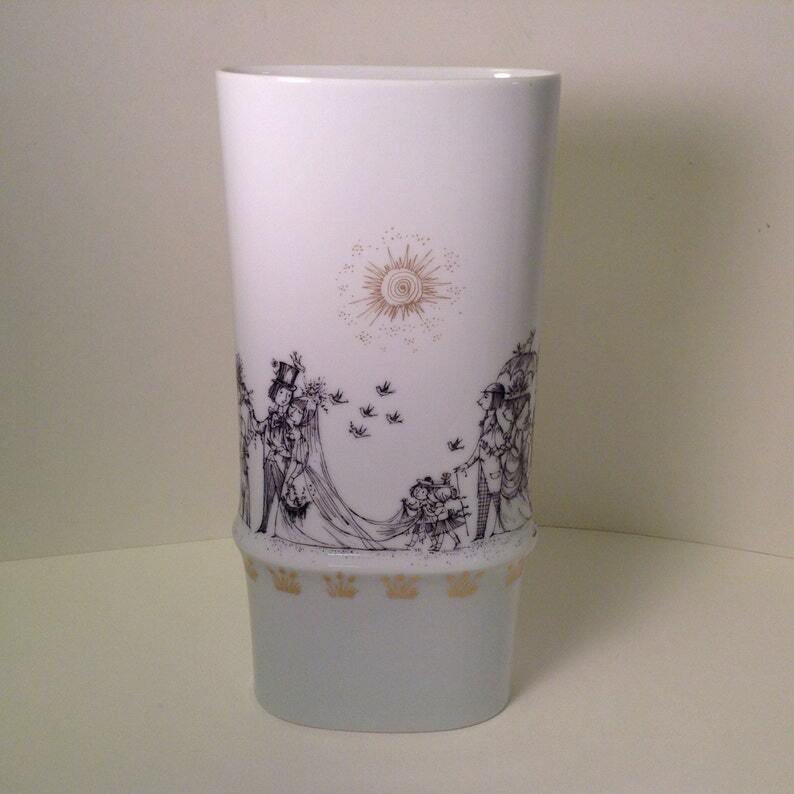 Celebrate a wedding or anniversary with this lovely vintage, yet modern, vase. Well known for his "Lovers," French designer Raymond Peynet designed this and many other pieces for Rosenthal between 1955 and 1965. The piece, titled "Wedding March," depicts the famous couple, their wedding party and guests in a delightful wrap around design on a contemporary-style german porcelain vase. The vase is in excellent condition with no cracks, chips, repairs, flea bites or crazing. The signature gold and black design is intact. The piece measures 11 1/2" high by 5 5/6" wide (at widest part - raised band) by 2 7/8" deep (at the widest part - at raised band). Top opening is 4 7/8" wide by 2 3/16". A beautiful, yet artsy symbol of love - unique!